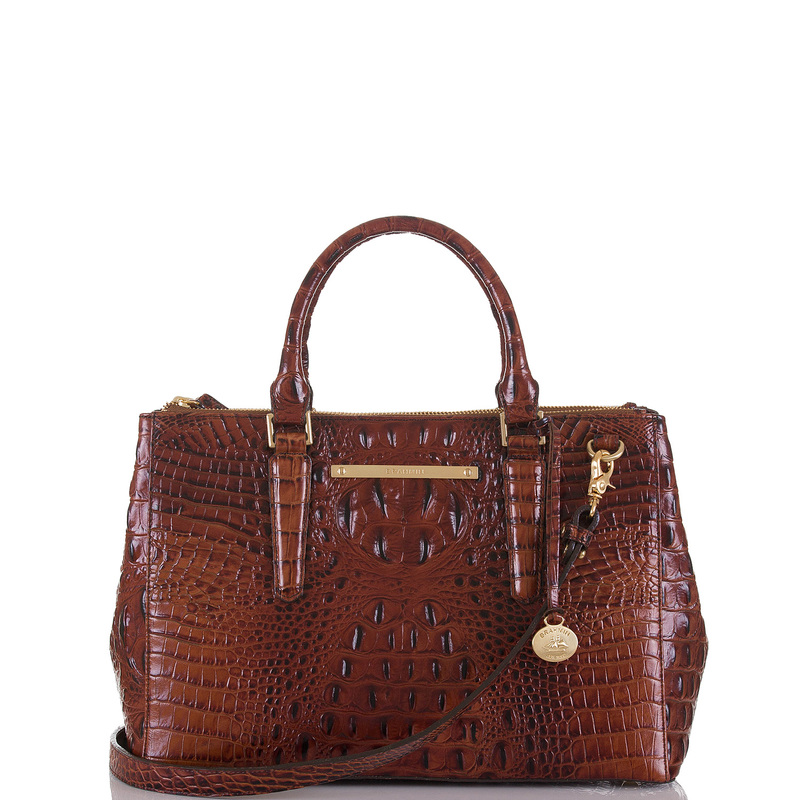 The Small Lincoln satchel is a roomy satchel with zipper closure. Carry by hand with the double handles or attach the removable, adjustable shoulder strap to wear crossbody or over your shoulder. 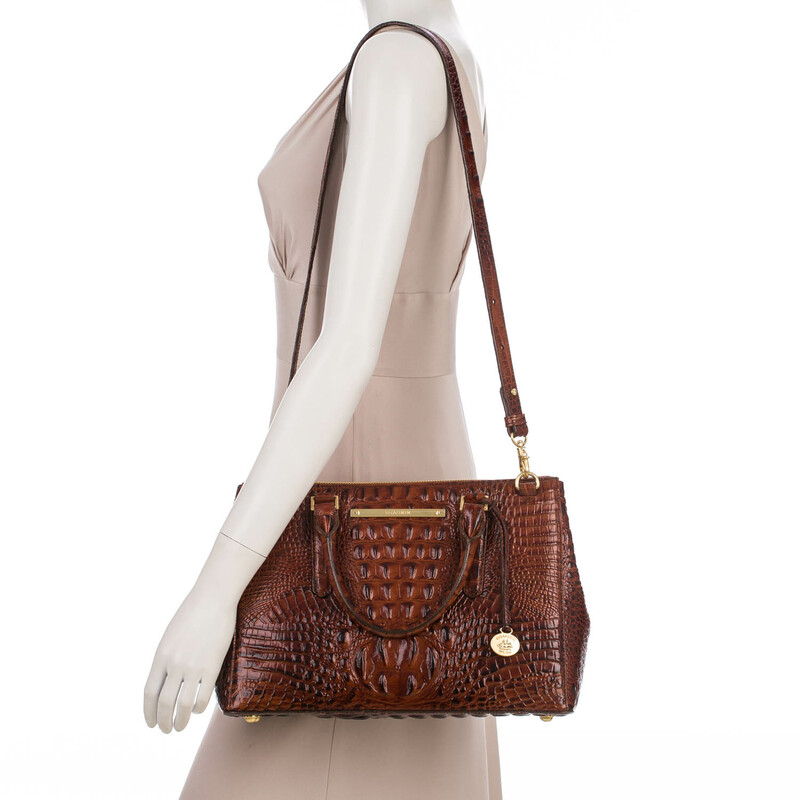 The Lincoln Satchel is absolutely perfect in size, practicality, design, organization and appearance. The pecan color is rich, elegant and beautiful. I couldn't be happier. Although described as small, it holds pretty much all that I carry on a daily basis. No wonder this bag has stood the test of time. Thank you, Brahmin. I love this. Love this bag! Lots of room for all I carry plus it looks great everywhere from work to evening! Pecan Melbourne is so versatile- it goes with everything I wear. Wish I had purchased this one sooner! 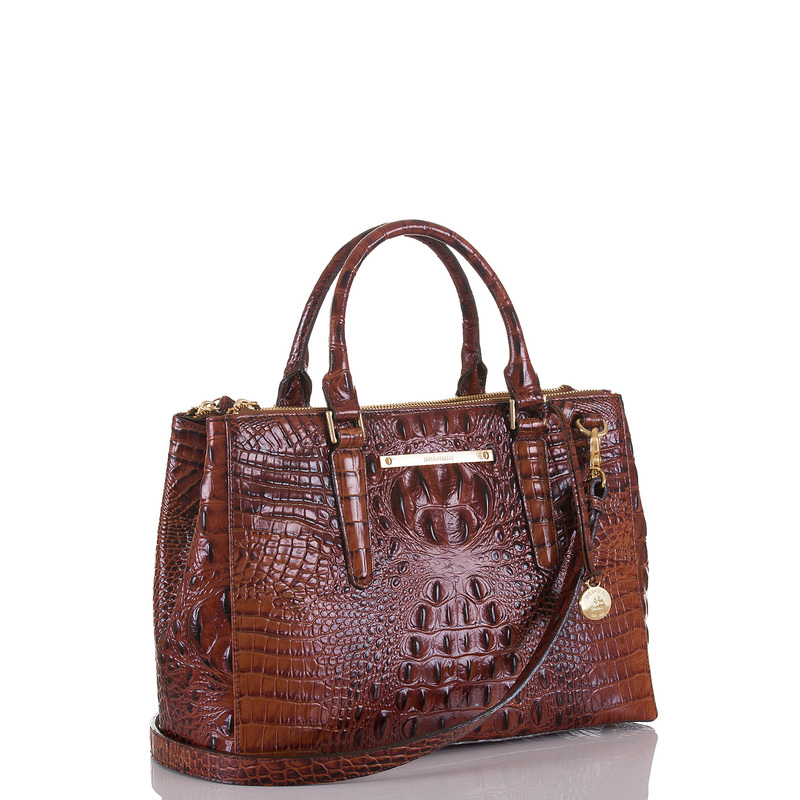 A must have to your Brahmin collection. 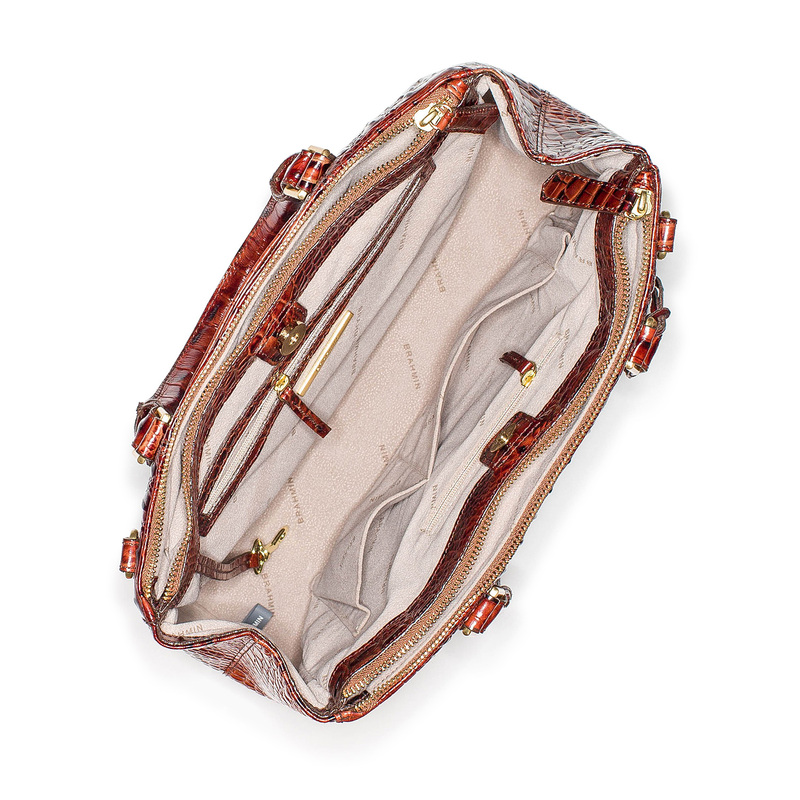 This bag is gorgeous & there is nothing âsmallâ about it! It holds everything I need & has room to spare. Love that I can fit my Skyler wallet with no problem. 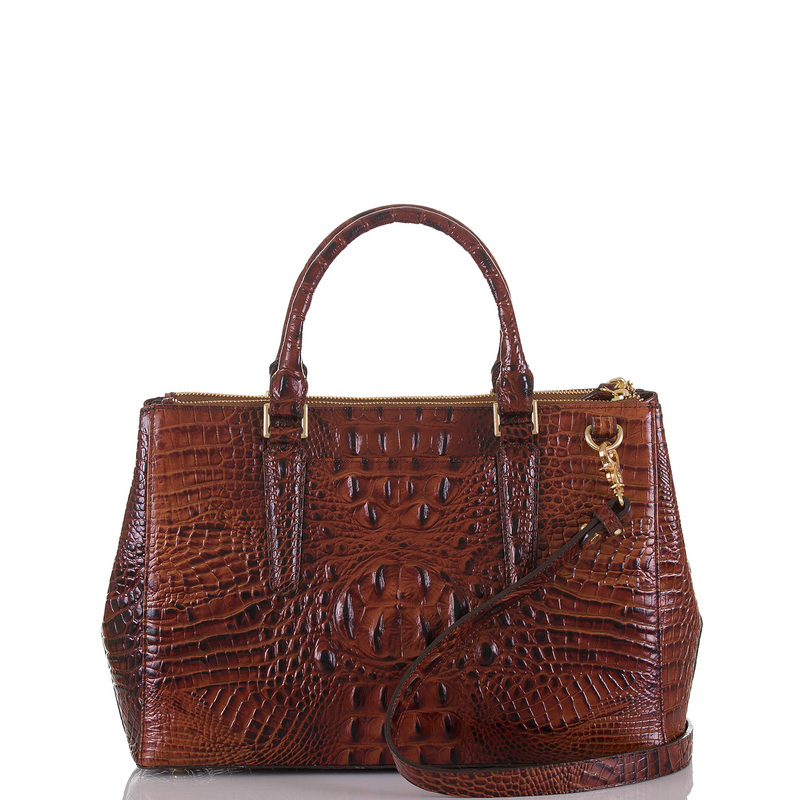 Of course you can never go wrong with a classic Pecan Melbourne Brahmin. This bag is a real winner! Q: What are the dimensions of this small Lincoln satchel?